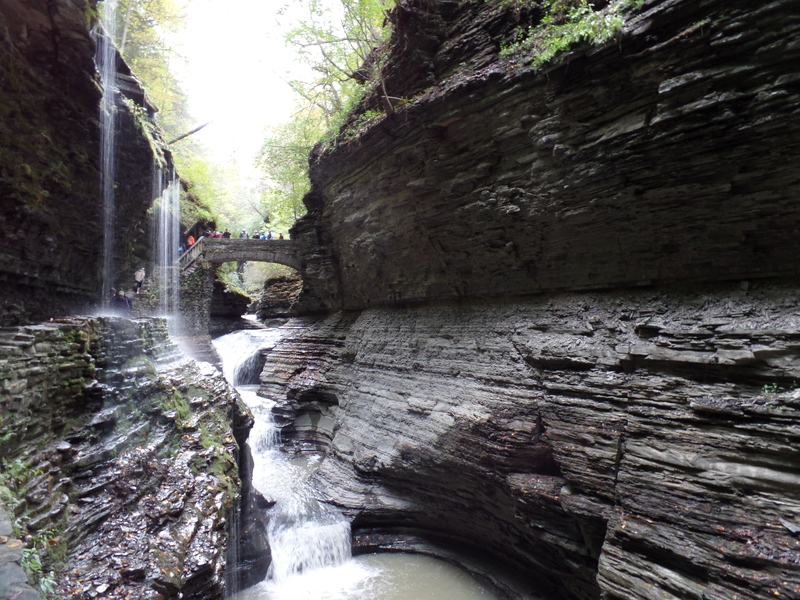 Watkins Glen State Park- Wow! 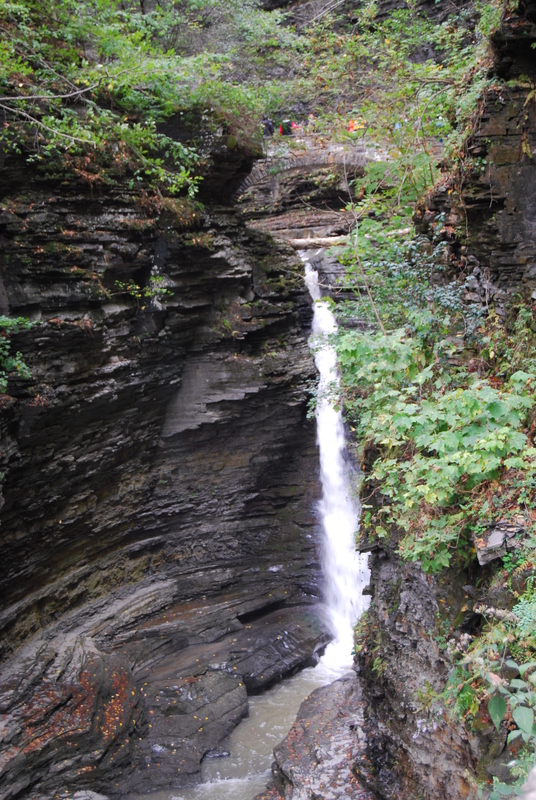 Today we drove about 160 miles in the RV, a short day, but we wanted to spend the afternoon at Watkins Glen state park. It is one the of the top 10 state parks in the U.S. and it did not disappoint. Today we opted for the high-priced camping experience and got a site with full hook ups. 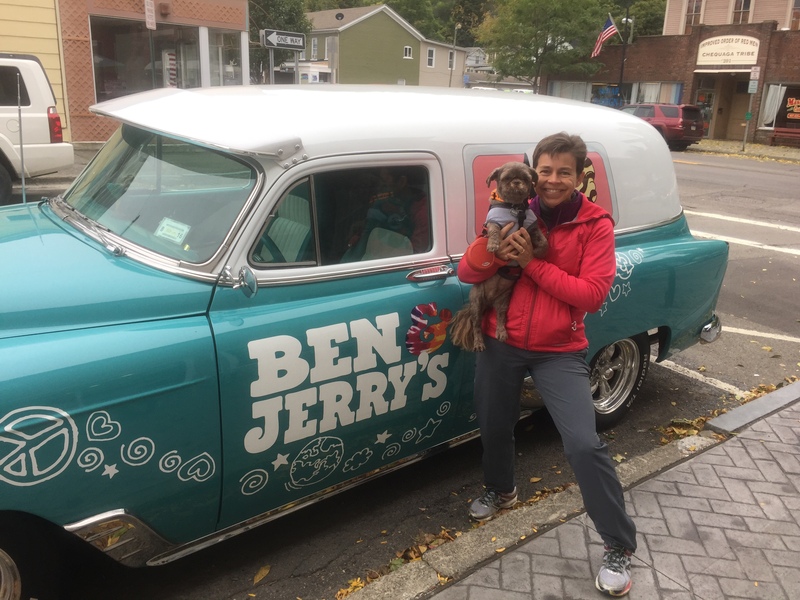 We knew we couldn’t take Gizmo into the park so we had to have a place with all the creature comforts when we left home to relax in the RV. We checked into the KOA just 5 miles from Watkins Glen. The price was pretty steep so we decided it was time to invest in the KOA value kard. It cost us $27 for a years membership but we saved $18 just in this one night. The campground was very nice, lots of amenities including campground wide free wifi. We think having full hook-ups every 2-3 days will be nice. It gives us a chance to expand our slides, dump the tanks and do laundry. 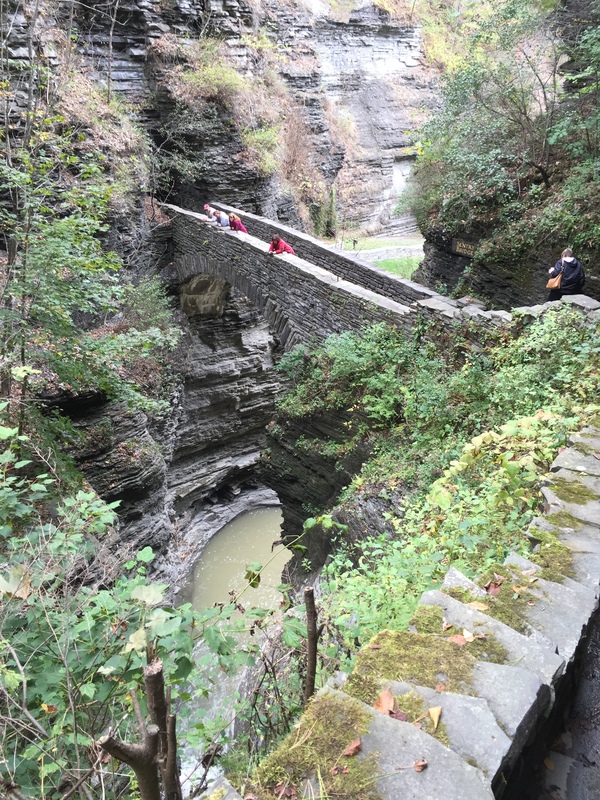 We set up the RV and disconnected the car and in about 15 minutes and we were on our way to explore Watkins Glen. We entered through the south entrance and we were very surprised they were not charging for entrance. It is usually $8 per car load. It was a nice walk from the entrance down into the gorge. 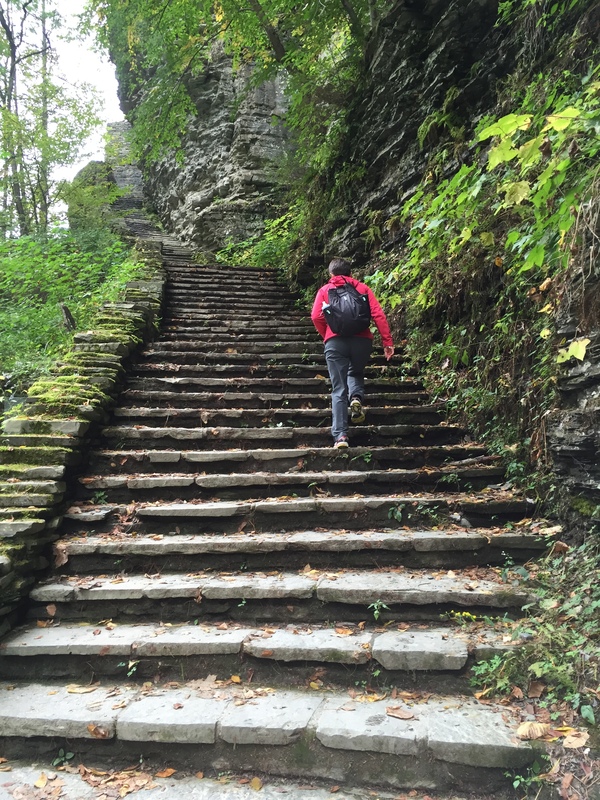 They say there are 852 steps through the gorge and I’m pretty sure we walked up each one of them at least once. It took us about 2-hours to walk through the entire park. Gizmo was anxiously awaiting our return. 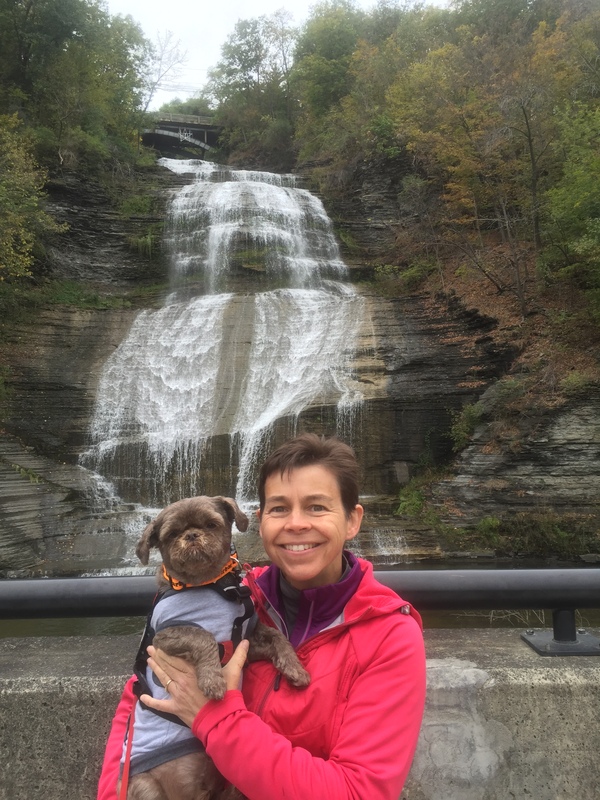 We took him back out to Montour falls and the town of Watkins Glen for a walk around town and some photo opportunities. This is a huge waterfall right in town. The place had a very Mayan like feel to it. You can get quite a work out walking through here. 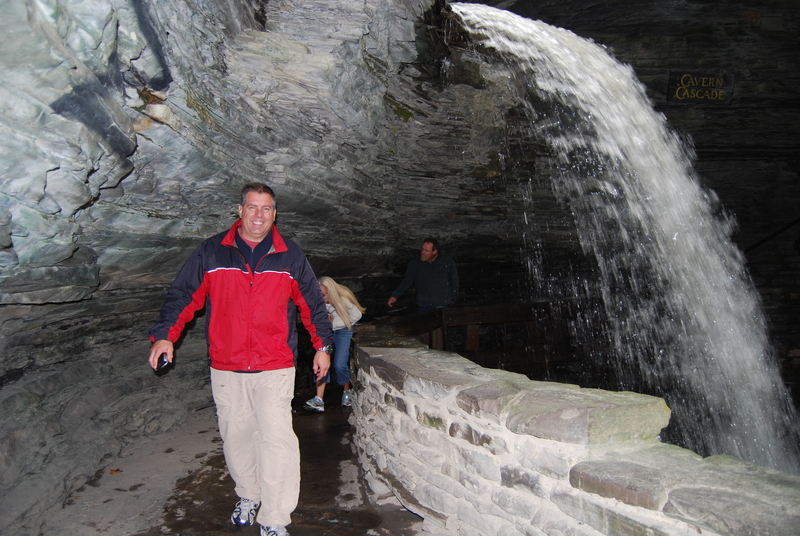 This entry was posted in The journey west and tagged KOA, Monitor Falls, Watkins Glen. Bookmark the permalink.